If you were seriously injured by a drunk driver, or if a drunk driver’s mistaken ways or callous indifference led to the death of a family member, you no doubt feel outraged, and perhaps are even thinking about taking matters into your own hands. Although we understand what you are going through, as experienced North Bay DUI accident lawyers we can tell you that the better course of action is to let rational minds prevail, and let the legal system serve its intended function. A drunk driver who causes a serious or fatal accident will typically face two separate types of court cases. First, they will face a criminal trial for DUI with injury or vehicular manslaughter. If found guilty, the driver will be sent to jail, or prison—possibly for a very long time. Restitution should be reserved, but often times the incarcerated defendant has no assets. The second type of case is a civil case for personal injury or wrongful death. While the criminal case is tried by a prosecutor, civil cases are argued by accident lawyers representing injury victims and the families of individuals injured or killed in the accident. The Law Offices Of Michael A. Fiumara are a team of drunk driving accident attorneys in the North Bay that have successfully represented numerous victims and families in civil claims for damages against drunk drivers. Importantly, even if the drunk driver is able to avoid a criminal conviction, he or she can still be held liable in a civil case for financial compensation. This is because the standard of proof in criminal cases (beyond a reasonable doubt) is stricter than the standard of proof in civil cases (by a preponderance of evidence, or greater than 50%). In addition, like other auto accident personal injury and wrongful death claims, it is often possible to obtain a settlement without going through the rigors of a civil trial—again regardless of the outcome of the driver’s DUI with injury or vehicular manslaughter case. Lacerations and scars, burns, and disfigurement. Spinal cord injury resulting in paralysis. Concussive syndrome and brain injuries. 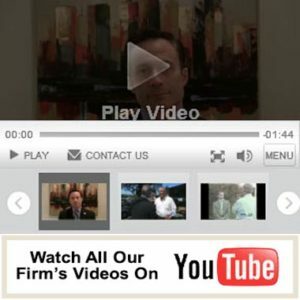 The highly skilled and experienced attorneys employed at the Law Offices of Michael A. Fiumara fully understand the insurance industry and, in fact, Mr. Fiumara formerly worked for a San Francisco boutique insurance defense firm in San Francisco’s financial district prior to opening up his own office in 1992. Therefore, with the expertise in personal injury law together with insurance law experience, clients will receive full compensation for their suffering, medical costs, and damage to personal property from all involved negligent parties. Your legal representation will not cost you any money since our law firm works on a contingency fee basis that requires no upfront payment by the client. All payments to the law firm are only made after a settlement or jury verdict has been rendered in your favor. If we don’t win, you don’t pay. Another benefit the law firm provides is that if you either lack full health coverage or your coverage is inadequate, our law firm will arrange for you to receive proper medical treatment and care on a lien basis. Although most people should have health coverage under Obamacare of the Health Care Recovery Act, we understand that there could be huge copayments and holes in your coverage, therefore, you will receive necessary medical care services through a lien arrangement that the firm will arrange at no cost to you. The Law Offices of Michael A. Fiumara in its aggressive and proactive approach to your case employs top-notch private investigators and other experts to bolster the value of your case. A thorough investigation will uncover who is responsible for your claim for personal injuries based on witness statements from bar patrons, bouncers, waitresses and/or irresponsible host which will bolster your claim. In addition, we are skilled and efficient at obtaining the best medical records that will support the severity and extent of your injuries so that it accurately reflects the value of your case to the adjustors and ultimately to jurors if your case goes to trial. To speak with a passionate and dedicated Personal Injury attorney about seeking financial compensation for injuries or a loss sustained in a drunk driving accident, please contact The Law Offices of Michael A. Fiumara today.